I've got a few Valentine cupcake pictures and ideas for you to spur your imagination for a delicious and fun homemade Valentine's Day gift. I like to take every opportunity to spoil my loved ones and those who are dear to me, official holidays and made up occasions alike. Life is too short to do anything less! You don't need to have a spouse, boyfriend, or girlfriend to really get into the spirit of Valentine's Day. Romance is not the only reason to make the day a special event in some small way. It's a great opportunity to show anyone you love that you are grateful for the part they play in your life - parents, children, friends, teachers, students, neighbors, even the postman! Trying to buy Valentine's Day gifts for everyone you want to treat to something special can get pretty expensive. That's why I like the idea of making something yummy that is homemade and simple. 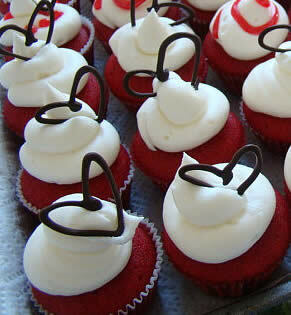 I'm quite taken with the idea of Valentine cupcakes. Don't worry! You don't have to be creative yourself to come up with some cute Valentine cup cake decorating ideas. Look at this simple, but adorable red velvet cupcake with whipped cream on top and a chocolate heart. How easy is that?! To make the chocolate heart decoration, all you have to do is melt the chocolate and put it in a piping bag (or a ziploc bag with the corner snipped off). Squeeze the chocolate through the bag to draw your desired heart (or other shape) onto a piece of waxed paper. Once the chocolate sets, you can peel it from the waxed paper and pop it on your cupcake (or cake) as desired. There are tons of adorable Valentine cupcake pictures all over the web. I've added a few of them here (with permission) just to jump-start your creative juices, but it's simple to find more. Just go to Google and search for "Valentine cupcakes." When the results come up, you can then click on the "Images" link at the very top of the search results page. Page after page after page of fantastic pictures of decorated cupcake ideas for Valentine's Day! I could literally browse for hours! 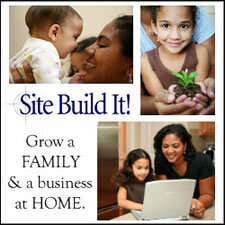 When you click on the photos, you will usually be taken to the site where the image is located. Sometimes you can even find step by step instructions along with a cupcake recipe so you can make them from scratch. If you prefer, you can use your own favorite cupcake recipe or just use a box cake mix, and then decorate the tops with one or more of these great Valentine's Day ideas. How gorgeous are these cupcakes with the fondant hearts and little critters? You can make your own fondant, using one of our fondant recipes or you can buy pre-made fondant and just roll it out and cut out designs with cookie cutters or even freehand. You can also form all different types of sweet figures by molding the fondant to the shape you desire. 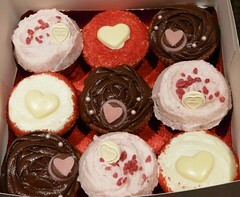 Click here to show off your Valentine cupcake photos on our site! We'd love to share in your creative process. You can take photos for each step in the process and add them using the form at the bottom of the page. Tell the whole story (how you made them, who they were for, etc.) and we'll enjoy them all the more. Get into the spirit and take a few minutes to make someone else feel special and loved for Valentine's Day. You'll be surprised how great it makes YOU feel! 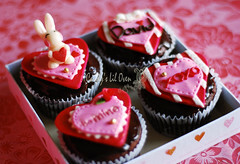 I hope you enjoyed this issue of Charmingly Chocolate with the adorable Valentine cupcake ideas! If you have any feedback or comments you'd like to share with me, just reply to this zine and let me know. And don't forget to check out our new Chocolate Candy Mall Store. Buy some homemade goodies, or list your own for sale!